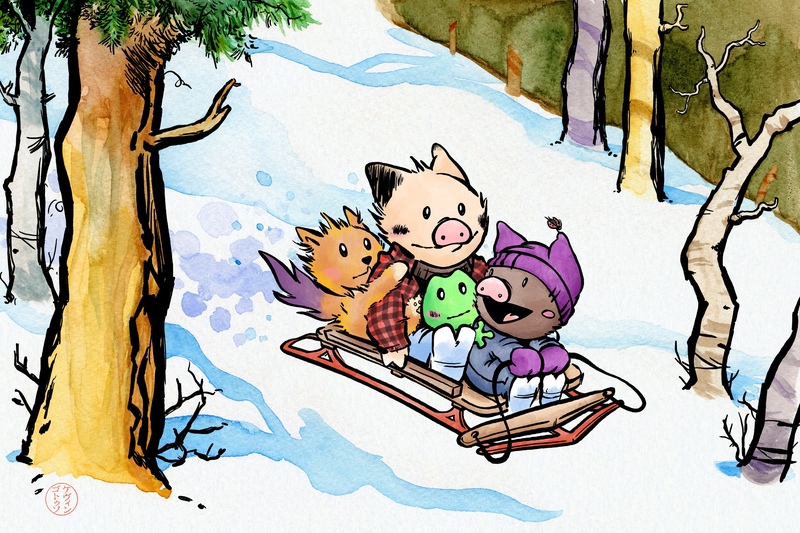 An homage to the timeless Calvin and Hobbes, Sukoshi and friends go exploring via sled. A mix of digital and traditional watercolor. My grandparents both passed away within a few months of each other, and their house recently went up for sale. It’s been a hard year for our family, but especially for my mom. 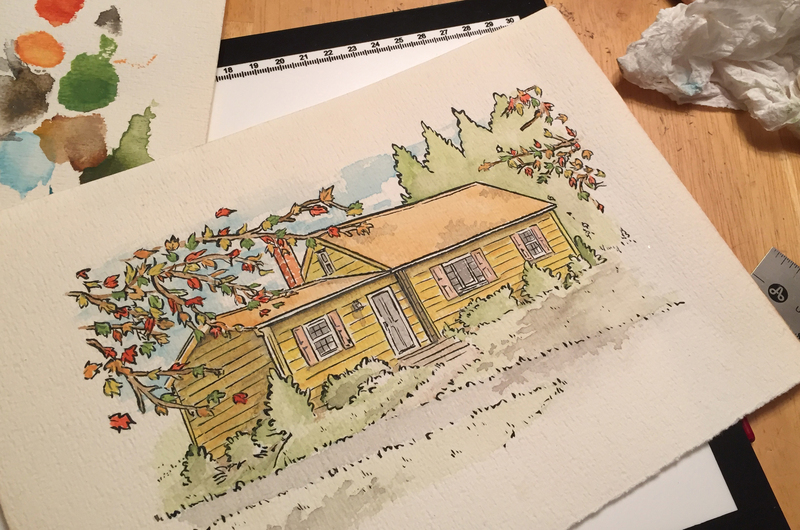 I wanted to do something special for her birthday, so I painted a picture of her childhood home. I love you, mom. 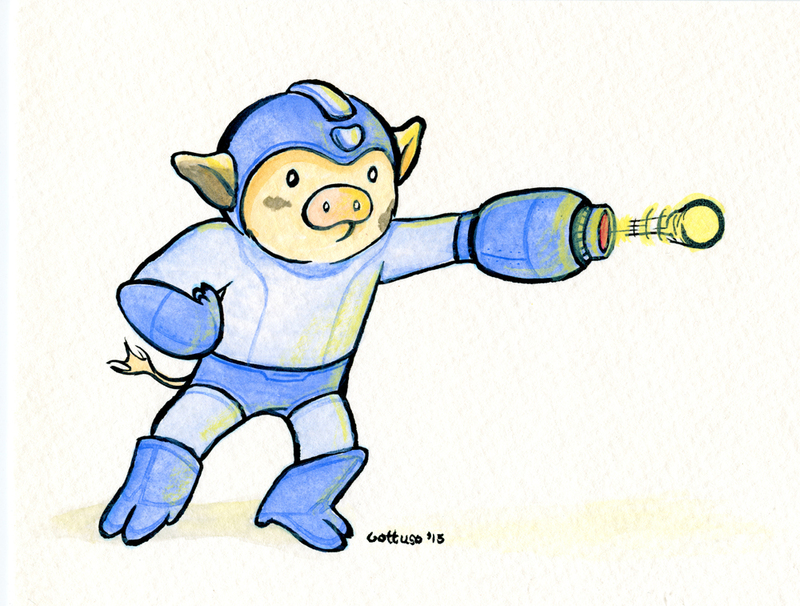 Mega Man as a Pig (not just any pig, Sukoshi Buta!). Handpainted ink and watercolor. Made for my brother, Joe Gottuso. 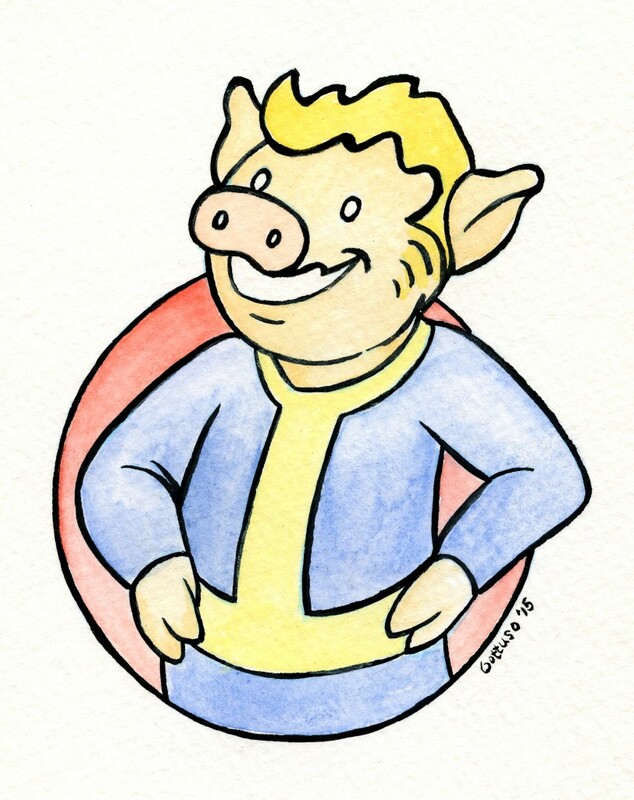 Fallout pig, handpainted ink and watercolor. For my brother’s girlfriend, Lisa Bodner. 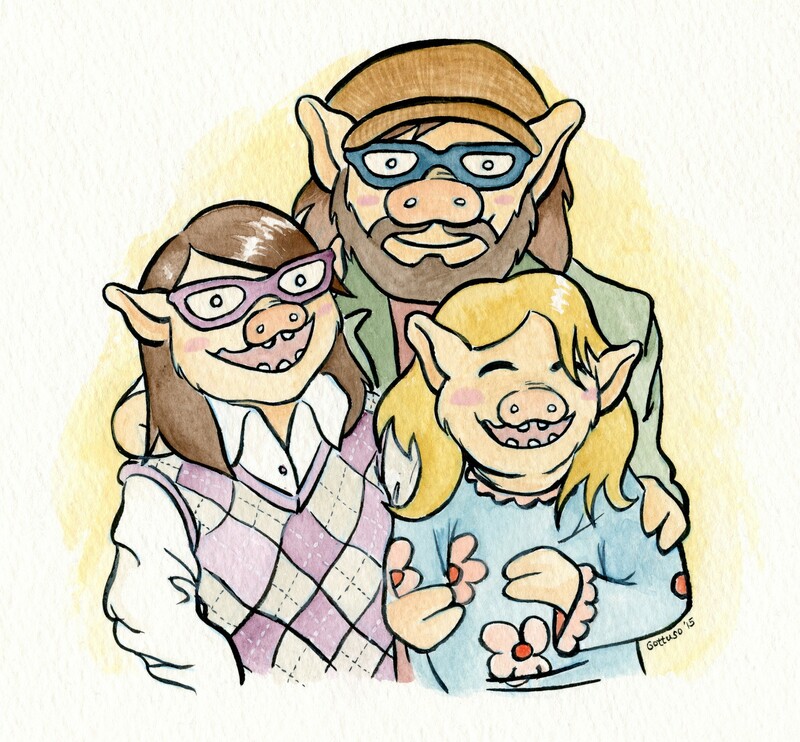 A family portrait with a twist, handpainted ink and watercolor. A Christmas present for my parents in law. Dr. 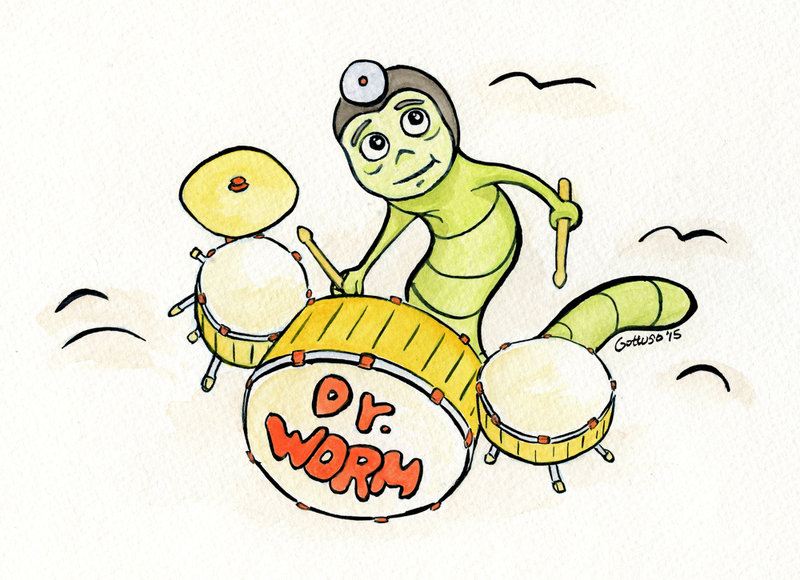 Worm (from They Might Be Giants), handpainted ink and watercolor. A gift for my cousin Aaron Gottuso. Derrillynn Parker and her husband Mike, made for her birthday. Handbrushed ink and watercolor. Sukoshi Buta Halloween Art Print "The Pumpkin Patch"
I’ve made an art print available of my Sukoshi Buta Halloween watercolor painting. 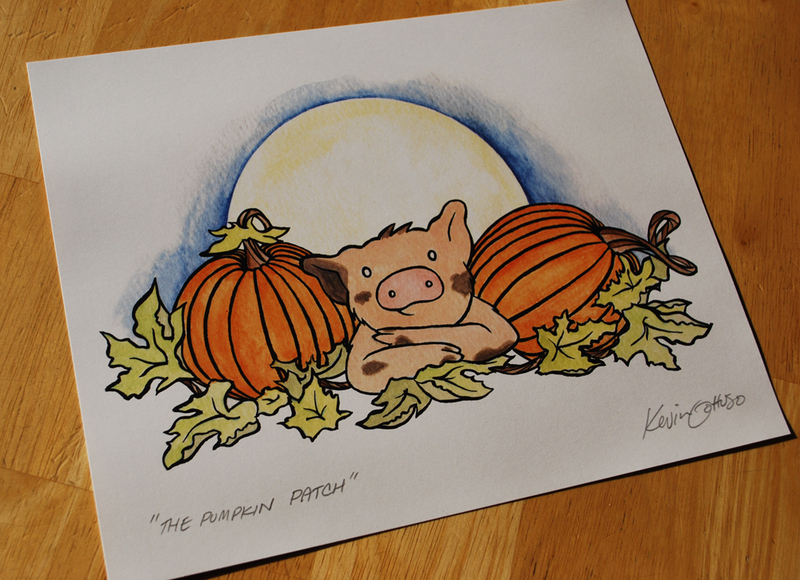 This one is titled “The Pumpkin Patch” and is available in my store. 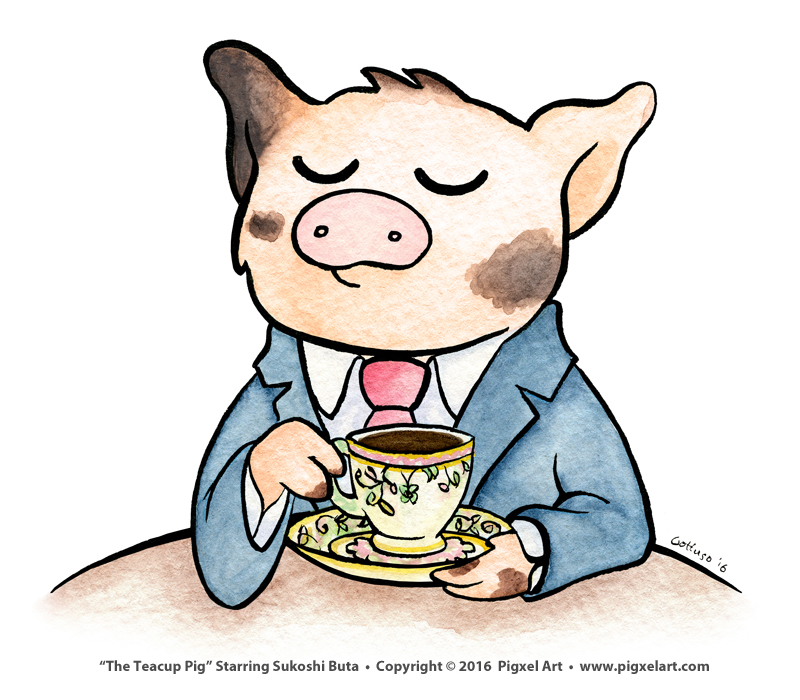 As with all my pig products, a portion of all sales go towards helping pigs in need. 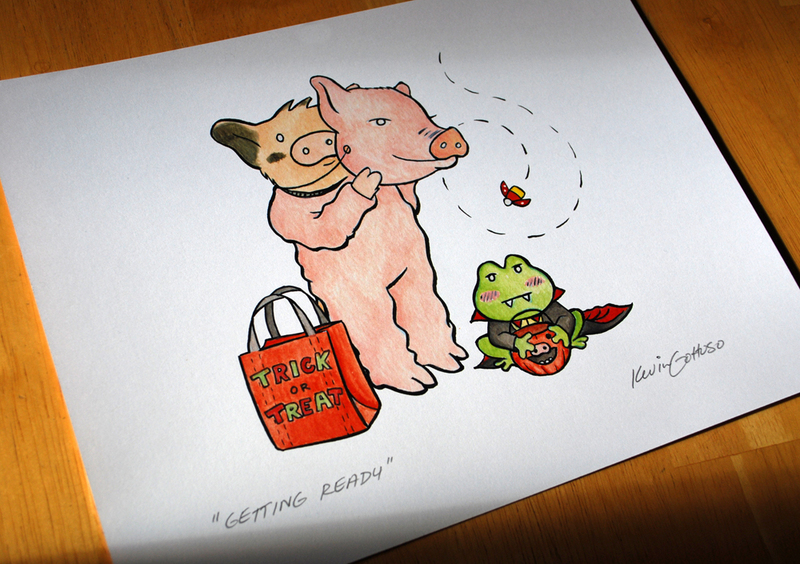 Sukoshi Buta & Friends Halloween Art Print "Getting Ready"
I’ve made an art print available of my Sukoshi Buta & Friends Halloween watercolor painting. This one is titled “Getting Ready” and is available in my store. 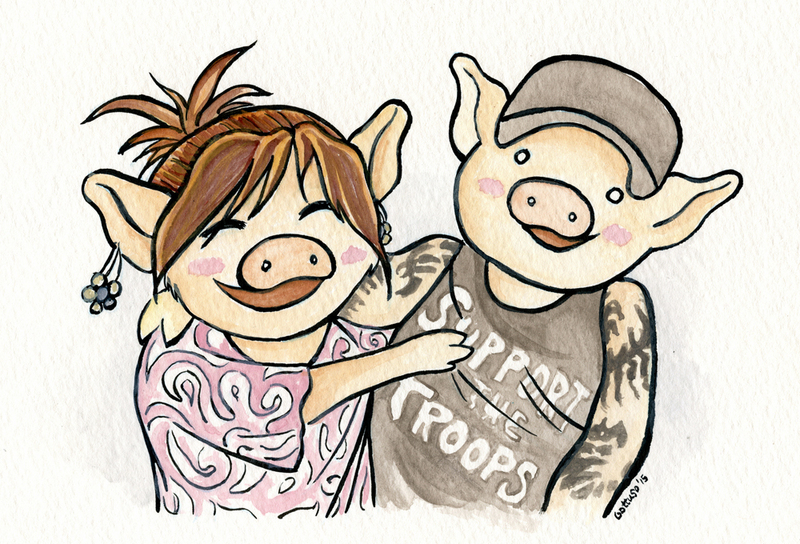 As with all my pig products, a portion of all sales go towards helping pigs in need.